lonely elders have a family to turn to. Join us today and become a member of the Extended Family for Lonely Elders. Have a closer look at our volunteer opportunities. 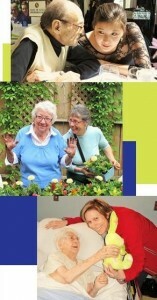 More than 2,007 volunteers are already making a difference in the lives of Elder Friends in communities around Quebec. READ WHAT THEY HAVE TO SAY ABOUT THE EXPERIENCE. MEET CARING, COMPASSIONATE PEOPLE – LIKE YOU! Work alongside other individuals who feel compelled to make a difference and put an end to isolation among our vulnerable senior population. Whether you’re a student, a retiree or somewhere in between, your time with Little Brothers will allow you to expand your horizons, enjoy new experiences and develop life-changing friendships. At Little Brothers, we have a comprehensive volunteer orientation and onboarding program in place to provide initial training and support. There are also ongoing development opportunities available to help volunteers hone their skills based on their specific areas of interest. In an effort to protect the vulnerable individuals we work with, we perform background checks on all of our new volunteers, trainees and employees. New checks are required every three years. We follow this procedure to the letter and appreciate your understanding. 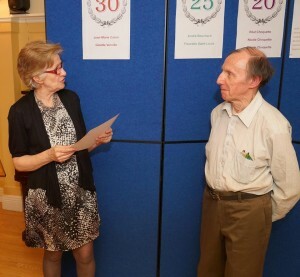 Our volunteers are the driving force behind everything we do. Our volunteer recognition program celebrates their invaluable contributions and shines the spotlight on outstanding commitment and loyalty. Get a group together to share special moments and change seniors’ lives for the better. Once we have received your completed application, we will contact you to get to know you a little better and tell you more about the volunteer opportunities available in your community. Meet and develop a lasting relationship with an Elder Friend (pairing program). Visit lonely or sick seniors and provide comfort and companionship. Drive and accompany seniors to outings and activities. Attend parties and special events with seniors. Help organize holiday and other celebrations. Attend to Elder Friends’ needs during a stay at one of our vacation lodges. Lend a hand in the kitchen or help with repairs and maintenance. Serve as an activity leader (singalongs, gardening, arts and crafts, etc.). Sort clothes and other items for resale at the Little Brothers thrift shop (Montreal only). Perform administrative or management duties. Represent the organization at corporate events and shows. Serve on an organizing or advisory committee (fundraising, treasury, communications, transportation, vacation, Senior Wishes program). Note that our needs vary from community to community. Please indicate any other relevant details here. All information will be treated with the utmost confidentiality. Be careful, the code is case sensitive.